At Penn State Harrisburg, the School of Science, Engineering, and Technology (SSET) offers ABET accredited undergraduate programs leading to Bachelor of Science degrees in Civil Engineering, Computer Science, Electrical Engineering, Electrical Engineering Technology, Environmental Engineering, Mathematical Sciences or Mathematical Sciences with the Secondary Education option, Mechanical Engineering Technology, Mechanical Engineering, Science, and Structural Design and Construction Engineering Technology. All of the engineering and engineering technology programs are accredited by the Accreditation Board for Engineering and Technology (ABET). 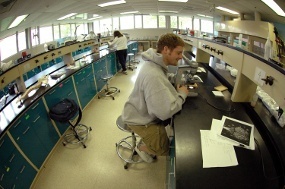 The School also offers master's degrees in Computer Science, Electrical Engineering, Engineering Management, Engineering Science, Environmental Engineering, and Environmental Pollution Control. 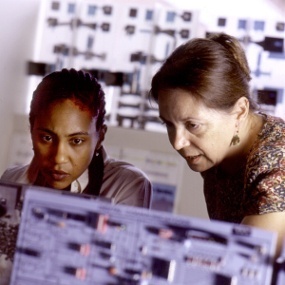 Since many of the programs are hands-on in nature, the majority of the faculty are required to have extensive industrial experience as well as exhibiting excellent teaching and research qualities. In addition to its excellent faculty, small classes, opportunities for students to work with faculty on projects, and strong employment prospects for the graduates are other strengths the programs offer. 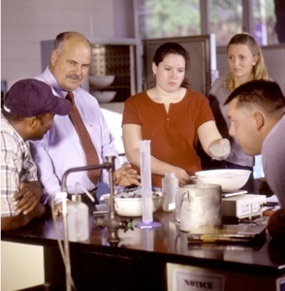 SSET pursues and supports research, development, and scholarly activities for faculty and students through traditional and innovative means as well as through cooperative relationships with regional industries, state government agencies and professional communities. The School teaches students to think critically, communicate effectively, and act responsibly within a context of personal and professional ethics. Programs in SSET value individual creativity and intellectual distinction, while providing an education that is grounded in fundamentals, communication skills, and teamwork. Students are prepared for quality professional practice, decision making, leadership, and advanced studies. Penn State Harrisburg was founded in 1966 and is an undergraduate college and graduate school of The Pennsylvania State University. Located eight mile east of the capital city of Harrisburg, the 218 acre campus, Penn State Harrisburg has undertaken major construction projects on campus in recent years to accommodate new and existing programs. Beginning with the expansion of the Science and Technology Building to complement study in Environmental Engineering and Environmental Pollution Control, the college has added a 115,000 square foot library, new apartment-style housing for 330 students, an expanded food court and Town Square for student activities, an indoor aquatics center, a tennis complex, and several sports fields. 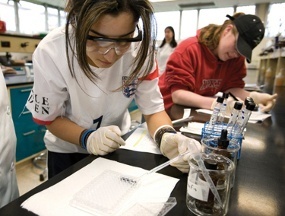 Students in SSET programs also benefit from the numerous research centers and institutes affiliated with Penn State. Internet access for students is available at ITS Student Computing Labs, residence halls, Penn State offices, many classrooms, and off-campus locations. Wireless access is also available throughout the campus.